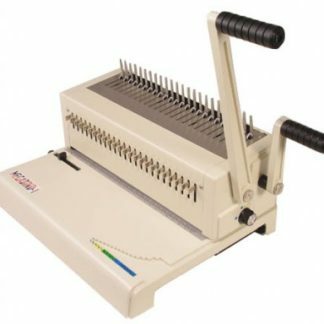 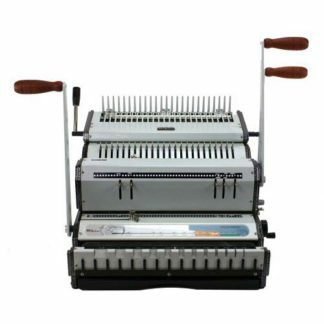 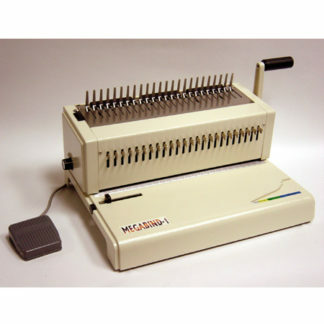 The Akiles MegaBind-1E comb binding machine is a heavy-duty, versatile comb binder that will fit equally well in a print shop or in an office. 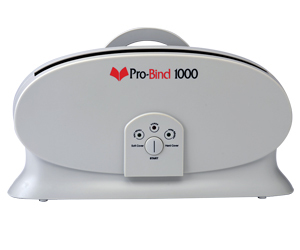 With its electric foot pedal operation and continuous binding control, the MegaBind-1E works efficiently, quickly, and precisely, giving you professional, beautiful documents every single time. 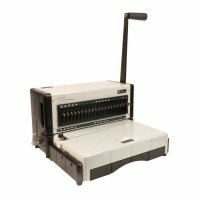 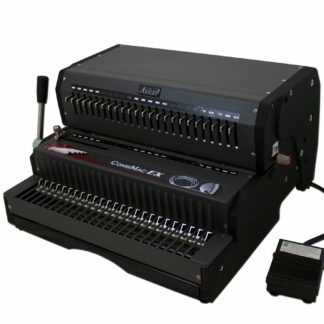 If you want a comb binding machine that will work perfectly in any environment, consider the MegaBind-1E.